Women’s cross-country will be competing at the 33rd annual UM Roy Griak Invite 6k in Falcon Heights on Sept. 29. The team will compete against 11 other NCAA Division II teams, 11 NCAA Division I teams and 15 NCAA Division II teams. 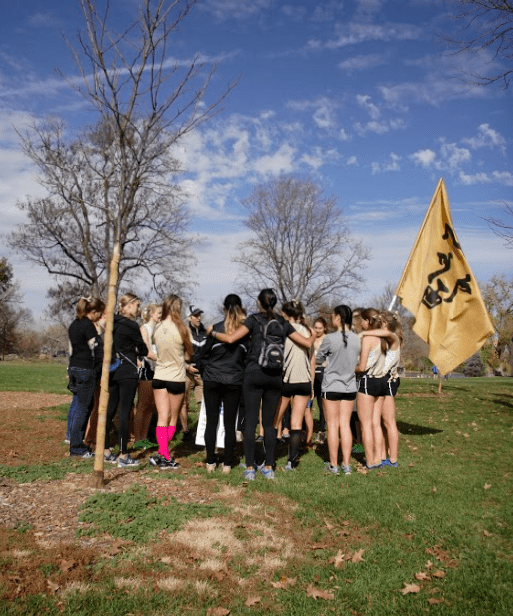 Women’s cross-country finished first out of five in the 11th annual UCCS Rust Buster 5k on Sept. 1, and finished third out of seven in the Colorado College Invite 6k on Sept. 8. Junior Kayla Wooten set a new course record at the UCCS Rust Buster 5k while sophomore Maia Austin finished No. 14 overall at the Colorado College Invite 6k. Following the Roy Griak Invite 6k, the women’s cross-country team will participate in two events in October. First will be the MSU-Denver Roadrunner Invite 5k next week on Oct. 6. The host Roadrunners took second at the Rust Buster 5k, with one athlete named U.S. Track and Field and Cross Country Coaches Association (USTFCCCA) National Runner of the Week. The team is ranked No. 9 in Division II Cross Country, and is one of UCCS’ top competitors. The following Saturday, on Oct. 13, the Lady Mountain Lions will travel to Kansas for the Fort Hays State University (FHSU) Tiger Open 5k. The Tigers are a young team, with only one senior, three juniors, two sophomores, and seven freshmen. The No. 4 ranked team in the Mid-Atlantic Intercollegiate Athletics Association (MIAA), a 14-member NCAA conference, the FHSU Ladies are looking to capitalize on a second-place finish in the MIAA championship last year.